With the first week of fall over and temperatures remaining below 75 degrees, it’s time to be honest. Summer 2018 is officially behind us. It’s time to start preparing for the change in season. What is the State of Evansville’s Current Housing Stock? We talk about the need to build affordable housing a lot, but why? 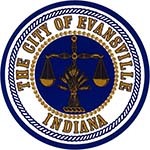 We thought we’d give you an in-depth view into Evansville’s housing stock. A picture is worth a thousand words, an infographic is worth so much more. The Effects of Affordable Housing in Better Neighborhoods – An Actual Solution to Generational Poverty? With the number of social welfare systems available, one has to wonder – how do people still keep falling into poverty? Studies have shown that those who grow up in affordable housing have a higher income over time. But what will it do for us today? For those of you worried about the impact of affordable housing on our tax dollars, look at these numbers. Have a Holiday Savings Plan That Starts NOW! Putting off your bills or putting gifts on a credit card aren’t the best decisions. Instead of letting the holidays stress you out, why not start preparing for them now? When you’re experiencing a financial difficulty, you’re an easy target. Scammers are out there, and unfortunately, they know how to target you. When I purchased my 1950’s home, I was on an independent-woman rampage, and I was determined to do every repair on my own. I learned a lot about how to maintain a home. I learned a lot about how to save money with some low-key routine maintenance. Homeownership is hard, especially when you experience a hardship. Don’t fall victim to a foreclosure prevention service scam, contact HOPE of Evansville and see how we can assist you. Our country is in crisis mode. The gap between the rich and poor continues to grow. An unsettling bi-product of this cultural shift is the instability of housing within our inner-cities. In 2016, HOPE of Evansville celebrated its 50th anniversary of serving our community. During that time, we have had the opportunity to serve over 400 families on an annual basis. That’s 20,000 families served!